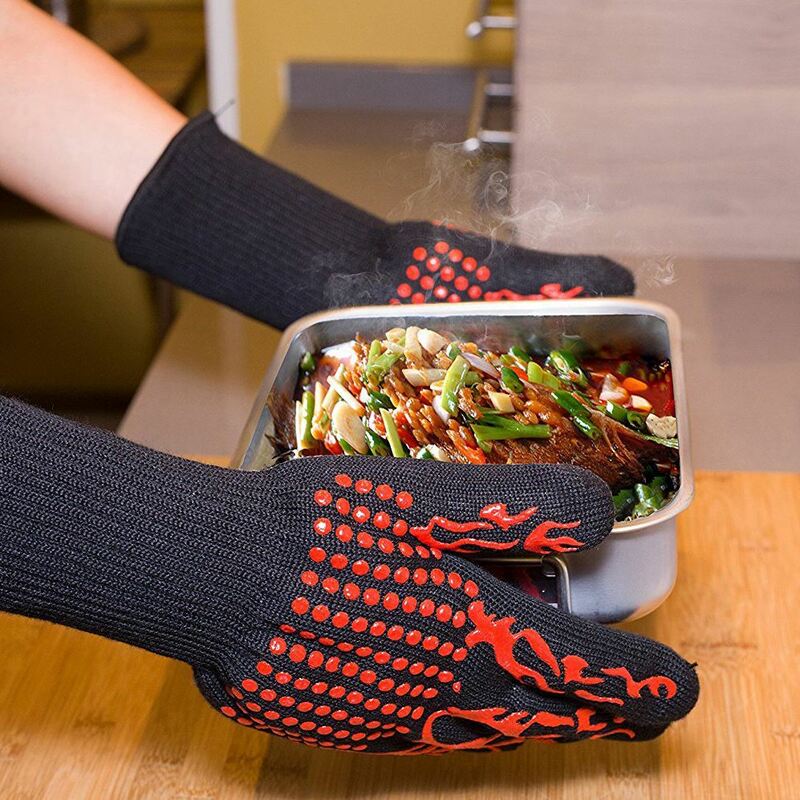 HEAT RESISTANCE: Double Oven Glove offers the extreme heat resistance due to its thick pure cotton lining and outer aramid silicone. 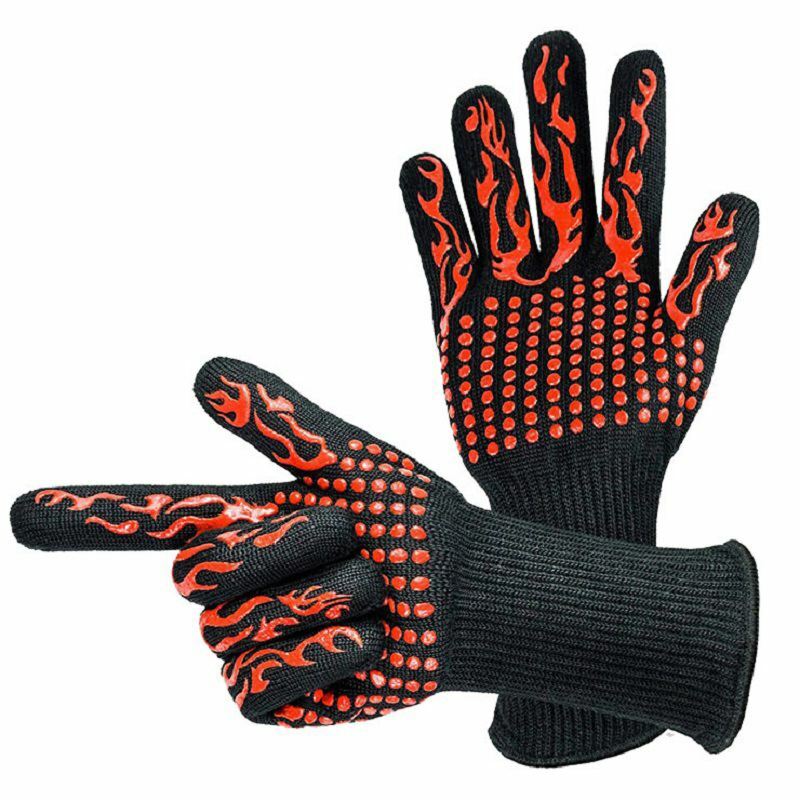 They are all EN407/EN420 Certified, which means they can effectively prevent you from being scalded when using the oven on grilling. 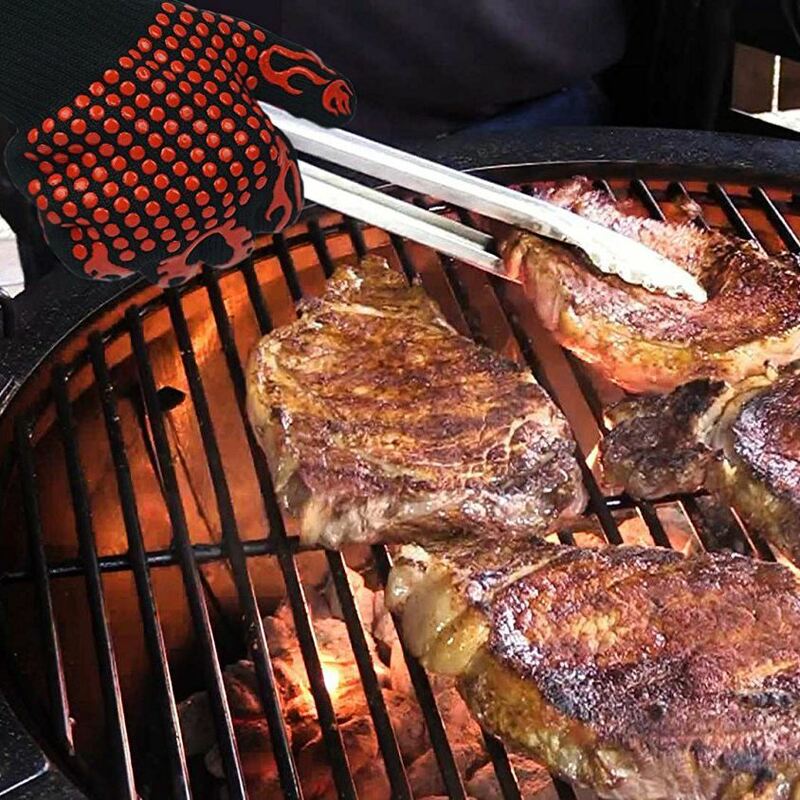 SUPER GRIP: The five-finger design gives you more flexibility when holding hot pots, food or racks; The silicone on the glove assure you handle a wide range of items without fear of dropping them. 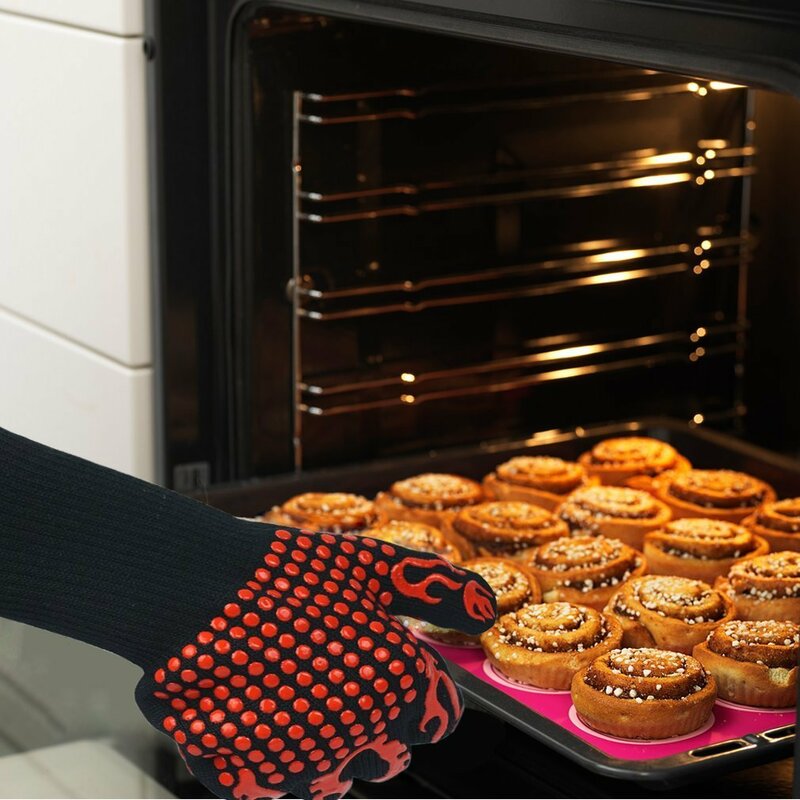 PROTECTION: Feature a 5.8inch cuff, keeping your wrists and lower forearms from scalding when removing hot pans from the oven! 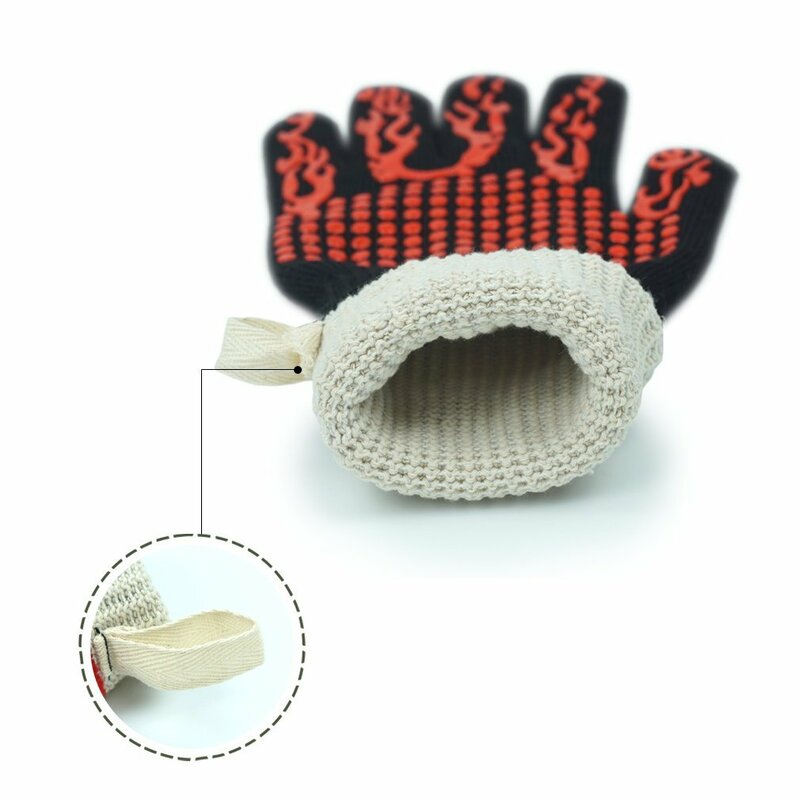 EASY TO USE: Unlike many silicone gloves can be thick and inflexible, Double oven gloves are easy on/off due to its cotton lining. 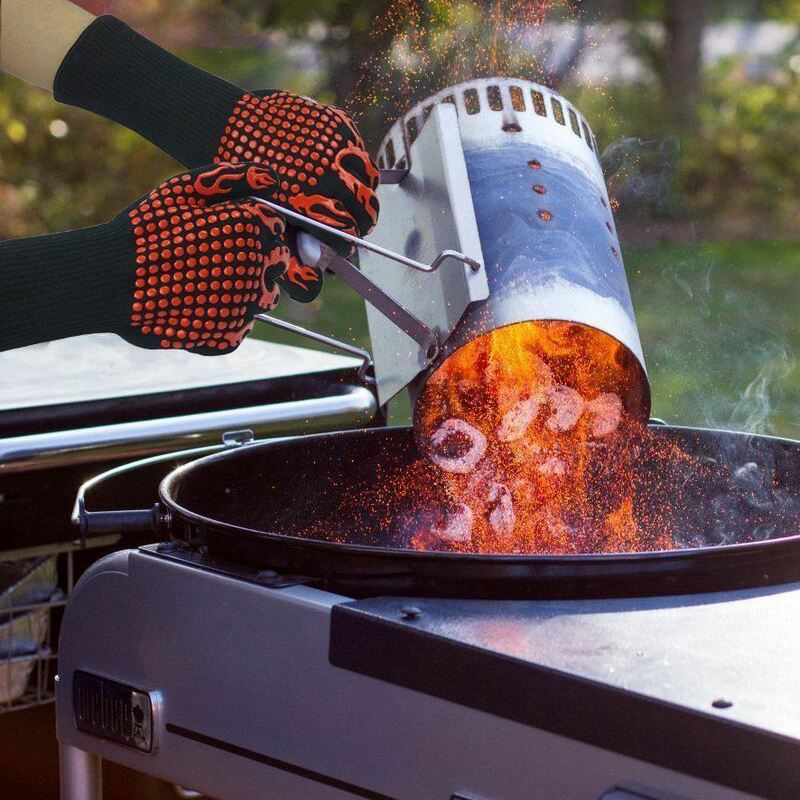 VERSATILITY: Whether removing pans from the oven, flipping meat on the grill, or even moving hot logs in the fireplace, heat resistant gloves do the job perfectly. 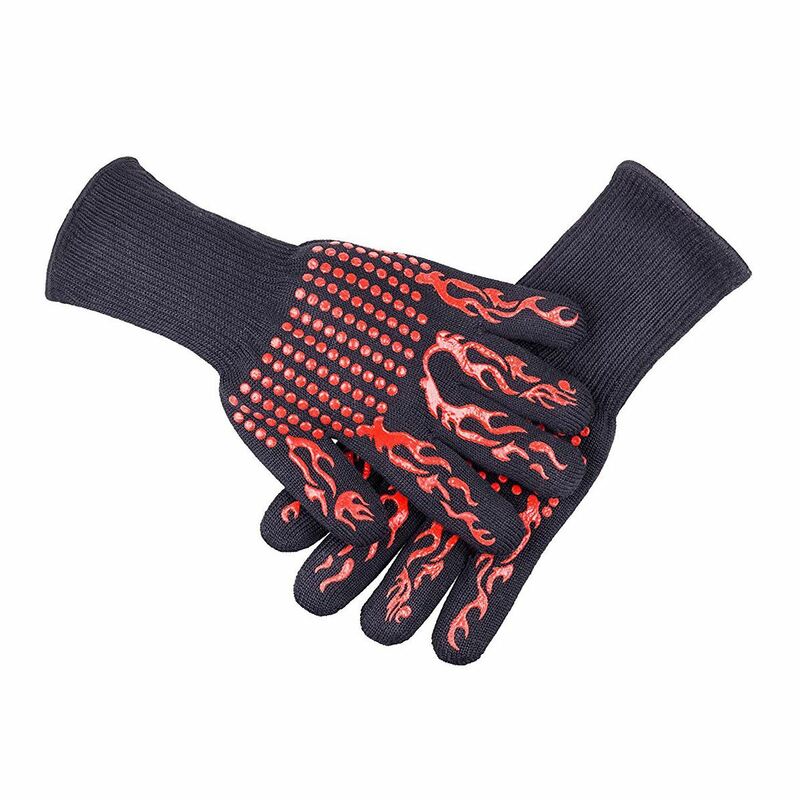 Double Heat Resistant Gloves are not meant for use over the recommended temperature of 932 Fahrenheit (500 Celsius ) and not to be used when wet or submerged in hot water or exposed to steam. Super fast and excellent quality Recommend!!!!! С виду очень качественно. В деле ещё не проверял. Доставлены быстро.